T.G.C. 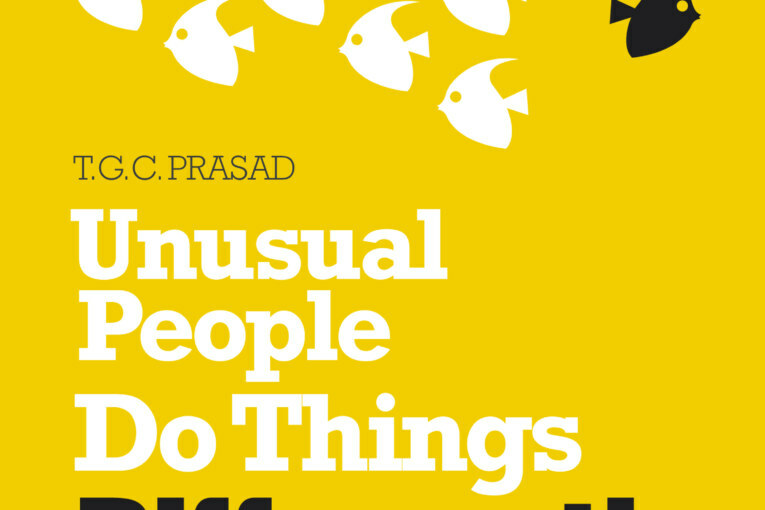 Prasad has shared his life-time experiences in short stories which prove to be lesson for rest of our life. The 65 chapters in the book portray 65 different individuals from different background giving exceptional management tips. The author has impressive and immense professional background which brought him to interact with people from different genre. The writer has compiled simple management and business insights and shared in a short story format. 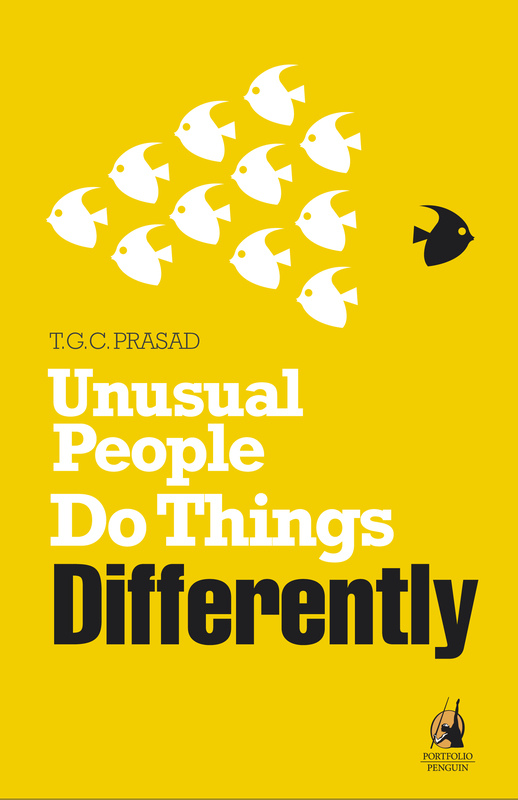 He has proved through his book that, ‘Unusual people are ordinary people who strive hard to do extraordinary things’. The book has been further divided into six themes, but the stories are so involving that the themes hardly have any role to play in the book. The practical examples in the book are simple and easily associable to our daily life. This book has taught me that, you should do things that make you happy and you will be successful. This books shares short and meaningful interactions of the writer with some great individuals who believed in changing things and had larger vision for future. Some stories based on writers personal experience with Azim Premji and Mother Teresa makes you realise that greatness is to be simple, kind and to the ground. ‘Giving is important, not how much’ chapter is a brief encounter of the writer with Mother Teresa when he was just in second grade. The writer contributed 50 paisa from 1 rupee that his father gave him to buy chocolates. Touched by that, Mother Teresa said” It is important to give, doesn’t matter how much. It purifies.’ The writers says “if 120 crore Indians each contributed just Rs. 37.5 annually, then the country would have $1 billion more every year.” Developed nations do contribute some amount from their earnings for community which helps them get better governance. There are many learning to take away from this book. There is a chapter where an individual was declined from admission in Harvard Business School and his journey towards getting in Harvard inspires you to crack any B-school entrance. The chapter every individual should surely adapt from this book is ‘Keeping Happy’; it is a story of writer’s friend, a Director of HR in Microsoft, who believed in simple and happy life. He has correctly put across his point that, ‘taking loan means forcefully working for a stipulated period’. He advises to pay of all the loans as early as possible and live a healthy and peaceful life by avoiding a materialistic life. The key message is: Cut the strings that pull you down, you will automatically soar. If these suggestions are used in our daily life we all can live a happy and stressful life. Though the writer is based from the IT industry he has included people from a broad professional gamut. CEOs, doctors, a nurse, a chef, realtors, an attorney, a chartered accountant, a consultant and a sports coach are sharing their learning from life making difference to the reader’s life. There are many start-up stories in this book which narrates the ideology and process that went into creating a Billion$ company. This book is for students, professionals, career oriented individuals, individuals who have or aim to have a start-up. This book is full of real life situation that makes it more interesting unlike other management books which emphasize on theory.